As far as a musical Mecca goes, Abbey Road Studios would arguably be the most hallowed of destinations for audiophiles looking to make a pilgrimage and pay their respects – in Instagram form, naturally – to music’s greats. The recording studio is synonymous with The Beatles’ entire oeuvre, as well as the recordings of some of the most influential acts of the last century, including Adele, Amy Winehouse, Elton John, Queen and Vanessa Carlton. It’s for that reason that its latest iteration as an Airbnb listing is all the more impressive. The community-driven hospitality provider has today listed an overnight stay at the recording studio hosted by genius creative polymath Mark Ronson. 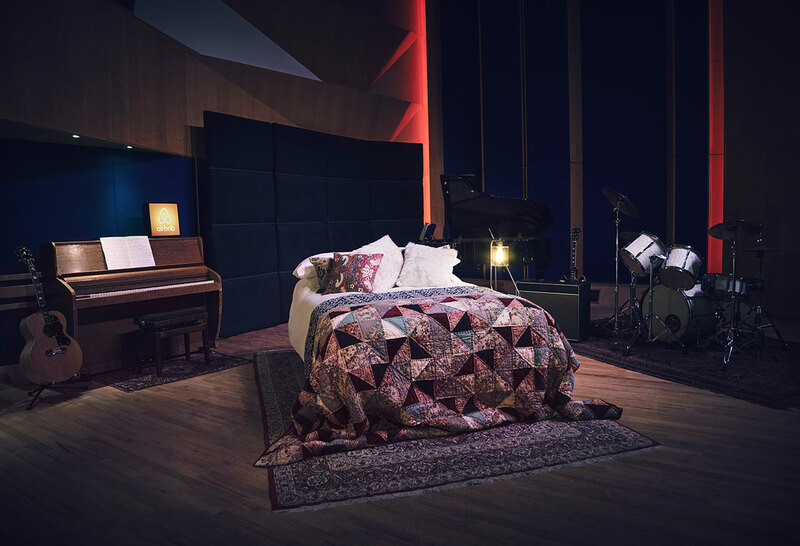 The one-night-only opportunity marks the first time a bed has been installed in the studio since a particular artist requested it in the summer of ’69, and will see four guests greeted by Ronson on arrival before being granted an access-all-areas tour of the nineteenth century townhouse. The chosen winners will also be given the opportunity to record a song in one of the three studios where Dark Side of the Moon and Amy Winehouse’s final collaborations with Tony Bennett were recorded. Honestly, truly: iconic. To win, hopeful tenants must successfully pitch for the opportunity by describing in 500 characters or less which recording they wish they’d been present by visiting the studio’s listing page.